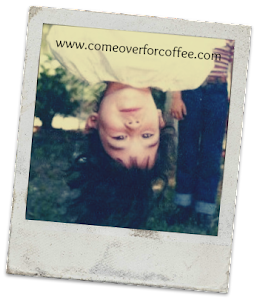 Come Over For Coffee - We'll Talk: Saying “no” isn’t about being mean - it’s about being wise. Saying “no” isn’t about being mean - it’s about being wise. Most of us hate when people are upset with us! It keeps us up at night with worry. So we avoid upsetting folks if at all possible. We say “yes” when we should say “no” so we don’t disappoint anyone. We don’t want to be mean! There is nothing wrong with our kind hearts, but what if we are looking at this all wrong? 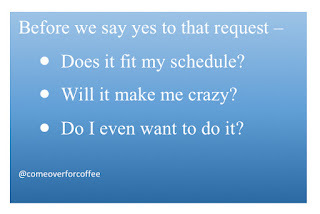 Before we say yes, it helps to run the request through a few filters. I've even printed mine out and taped them to the fridge so I don't forget and end up committing to stuff I shouldn't. In case it will help you too, here you go. Good luck! 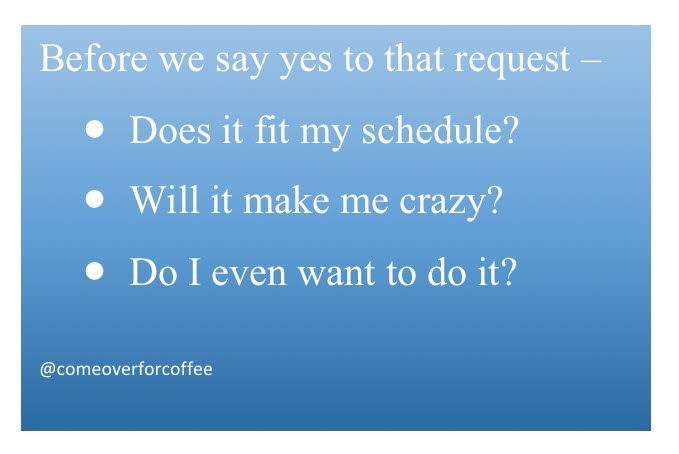 You aren't mean when you say no!! You are being wise! You are awesome!